John Wiessing is an avocado grower who started from bare land. He planted his first 14 hectares of avocados in 1999. He loved avocado growing so much, that he then went on to plant his second orchard in 2004, this one being 20 canopy hectares of avocado trees. His orchard is located a short drive away from sunny Whangarei, in the North Island of New Zealand. Avocados in this part of the world benefit from a warm climate and land that is rich in nutrients from various volcanic soils. John fell in to the avocado growing industry after 25 years of working as a rural vet. He very much enjoys the lifestyle of a grower, which provides him with the right mixture of physical activity and mental challenges. John sits on the avocado industry Technical Working Group and is able to utilise his scientific background to better understand what the avocado tree does. He innovates and trials different on-orchard management to get the best performance out of his trees. 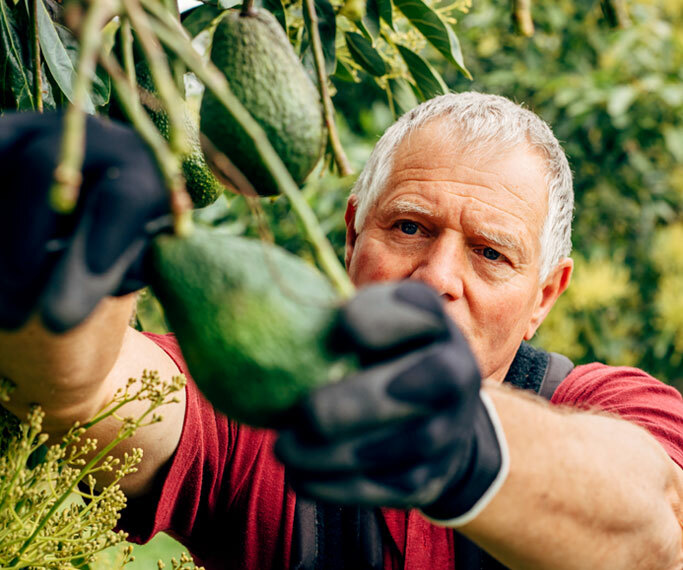 To John, being an avocado grower means life holds a bit of mystery and excitement, as you never know what could happen. Growing avocados is beautiful to watch, and fills you with expectation and hope. Seeing how things progress is really neat. For nine months of the year, John ensures he eats an avocado every day, as it is a nutritious healthy fruit which is amazingly versatile. He likes to get creative in ways to consume it, using it as margarine on sandwiches or in an avocado chocolate mousse. Sharing that knowledge is an important part of John’s role and he is continuously working on the recipe for a perfect avocado crop.